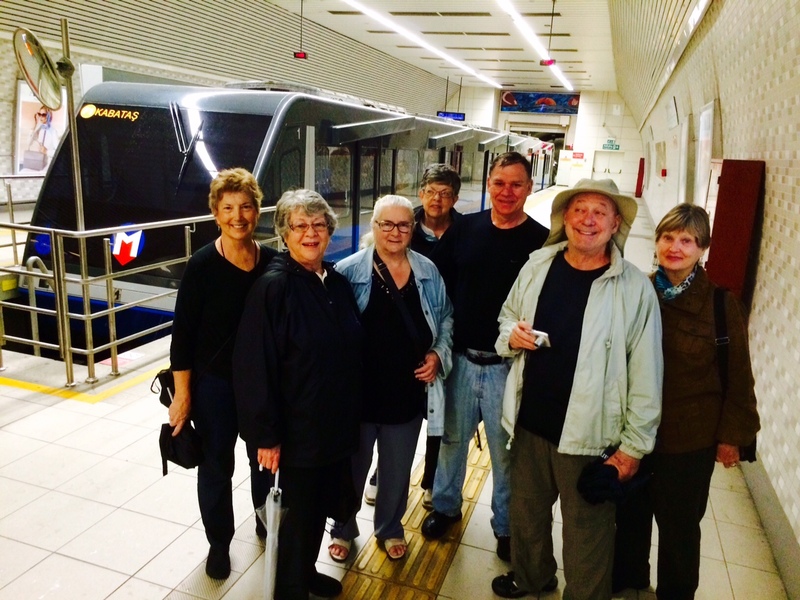 Arrival at the Taksim Square funicular station. Istanbul, Turkey. On the ISTANBUL Tour. 8 May 2015. 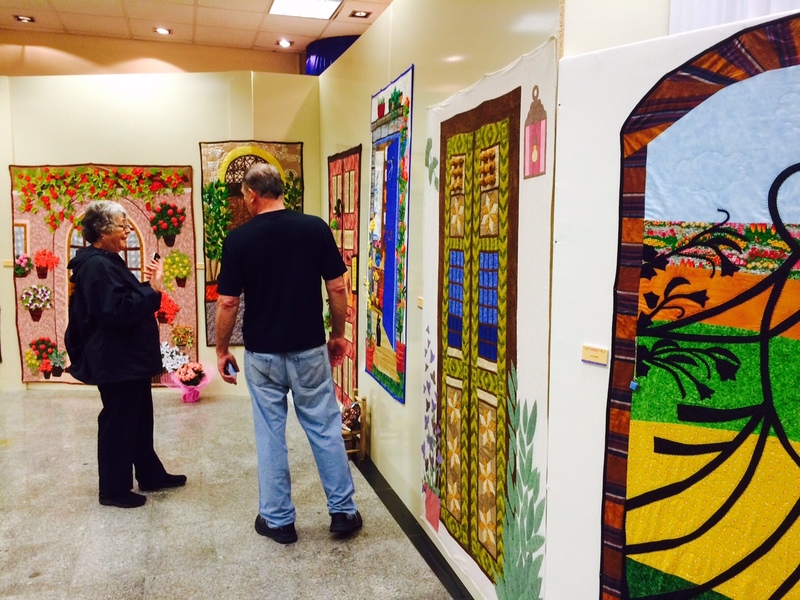 Cindy and Grant discussing the art work of quilts. 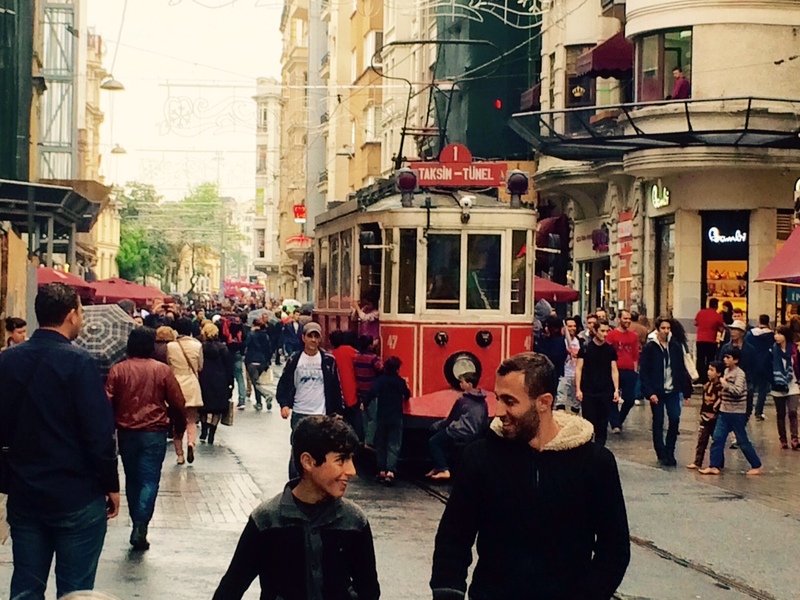 Near Taksim Square. Istanbul, Turkey. On the ISTANBUL Tour. 8 May 2015. 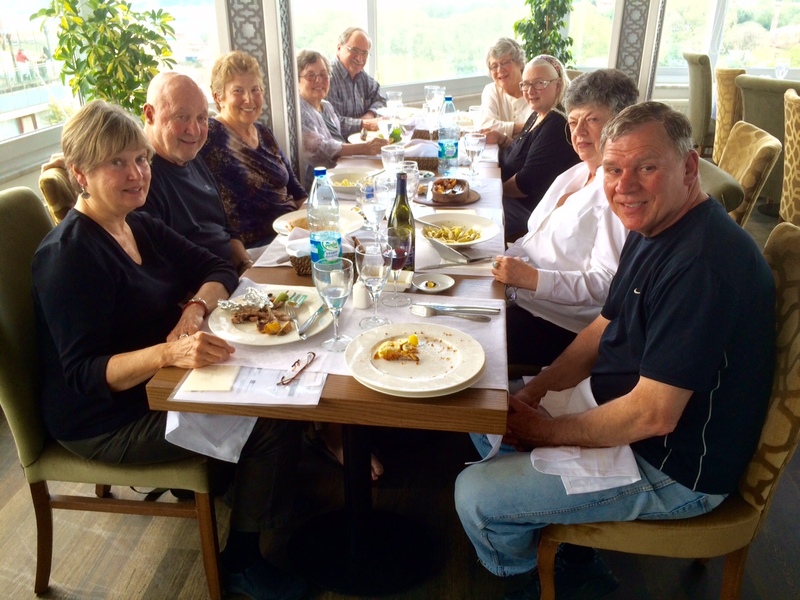 Our departure dinner at the rooftop restaurant at the excellent Adamar Hotel. Istanbul, Turkey. On the ISTANBUL Tour. 8 May 2015. The old tram on Itztiklal Street. Istanbul, Turkey. On the ISTANBUL Tour. 8 May 2015. 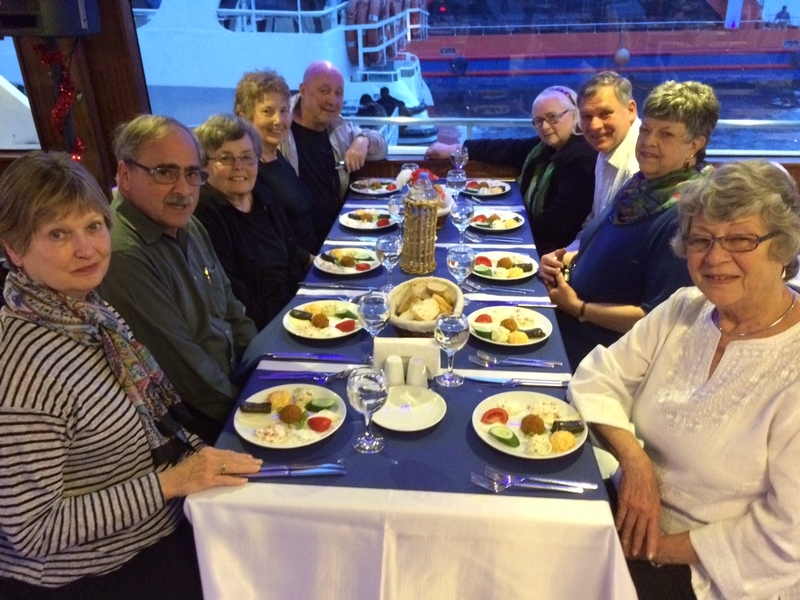 The dinner cruise on the Golden Horn and Bosporus begins. The ancient Roman Cistern. Istanbul, Turkey. On the ISTANBUL Tour. 7 May 2015. 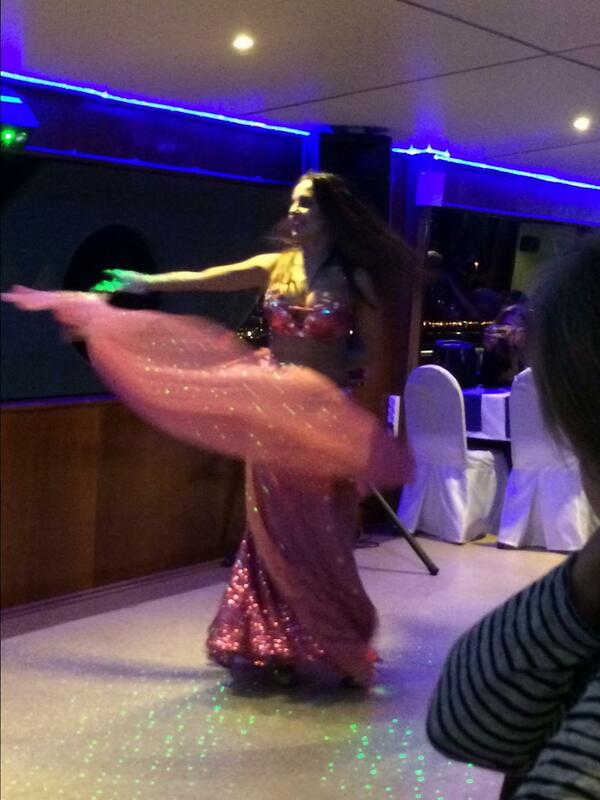 The floor show on the dinner cruise begins with the multi talented belly dancer. The ancient Roman Cistern. Istanbul, Turkey. On the ISTANBUL Tour. 7 May 2015. 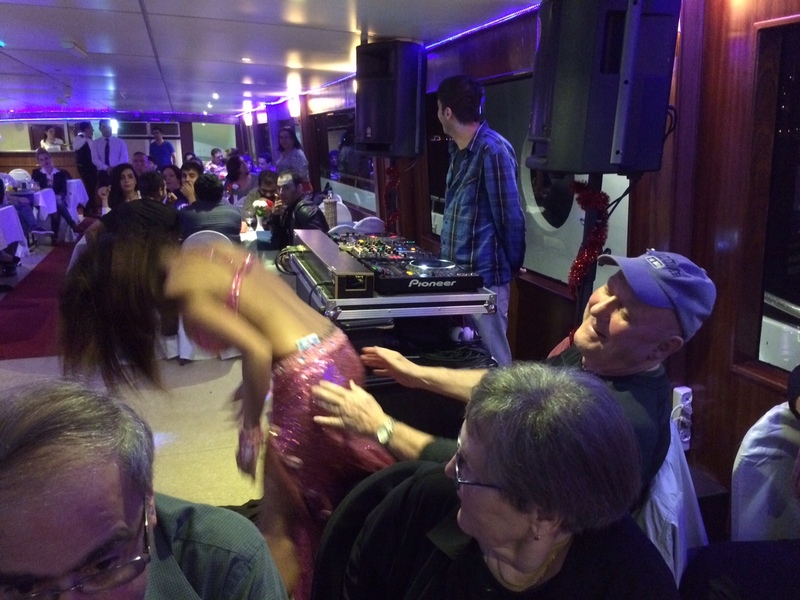 The exceptionally talented belly dancer asks John to dance. 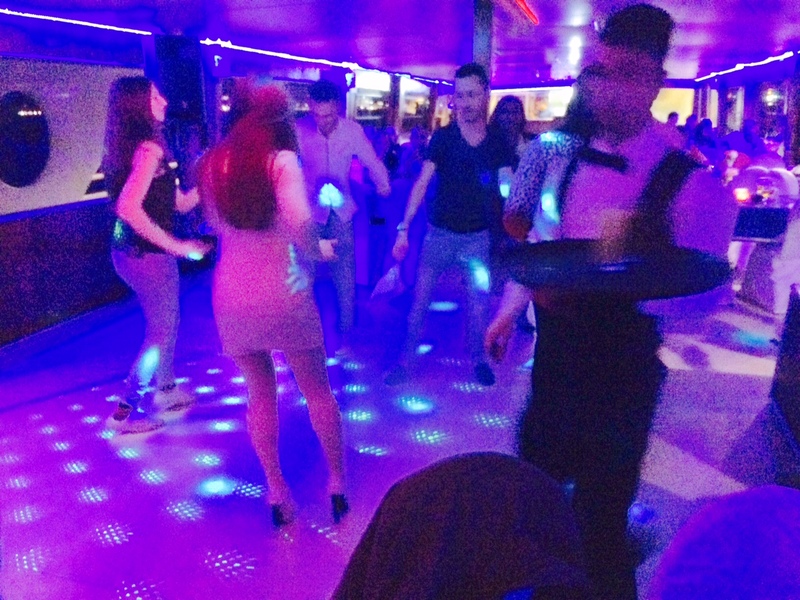 The dinner cruise. The ancient Roman Cistern. Istanbul, Turkey. On the ISTANBUL Tour. 7 May 2015. And the dance show becomes a dance floor. The blur of the evening fun! The ancient Roman Cistern. Istanbul, Turkey. On the ISTANBUL Tour. 7 May 2015. 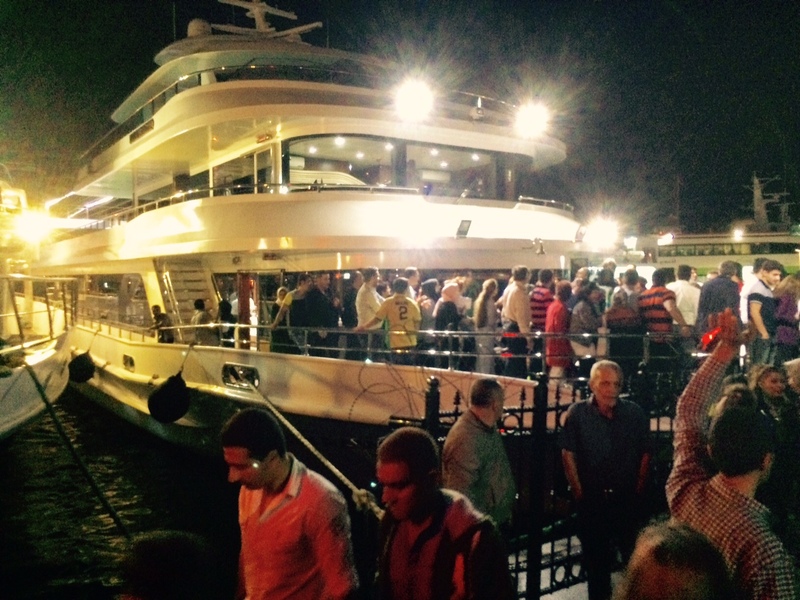 The dinner cruise ship. The ancient Roman Cistern. Istanbul, Turkey. On the ISTANBUL Tour. 7 May 2015. 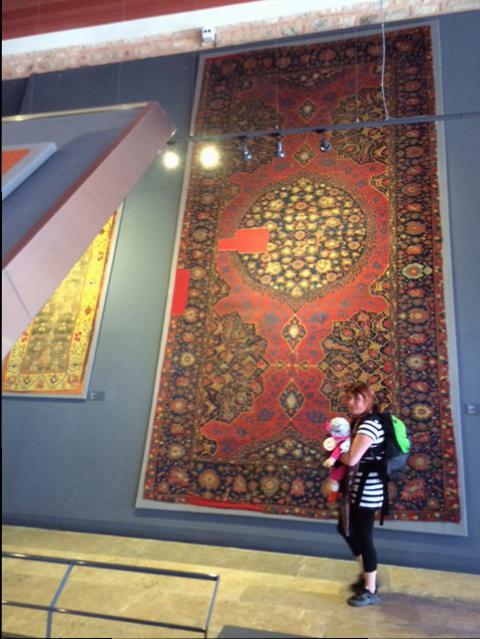 16th century carpets from the mid Ottoman Empire. The Turkish and Islamic Art Museum. Istanbul, Turkey. On the ISTANBUL Tour. 7 May 2015.